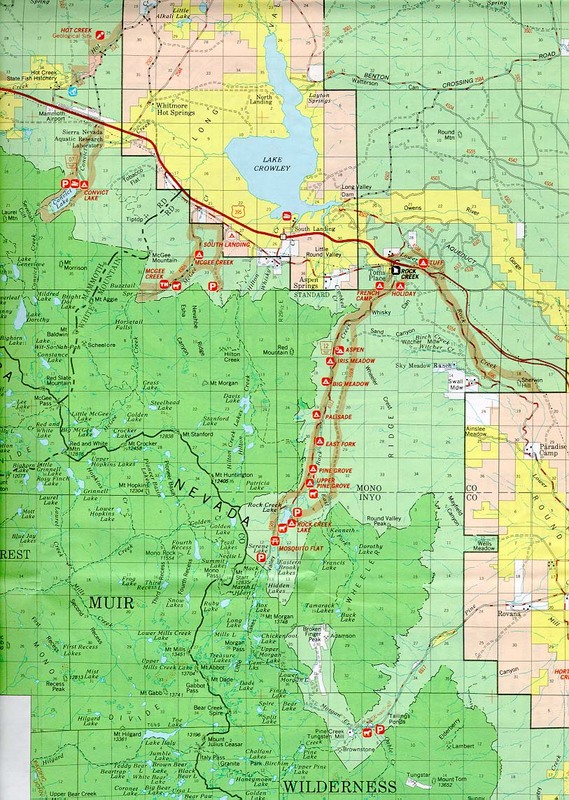 This Forest Service map shows the area known as Rock Creek. Not to be confused with "Rock Creek Wilderness" which is in Oregon, this area, outlined in yellow is one of the most gorgeous areas in fall when the leaves are changing. Just off Highway 395 at Tom's Place exit, the forest area is dotted with Mammoth campgrounds. But if you're into five star "glamping" we've got some great cabin rentals in Mammoth.